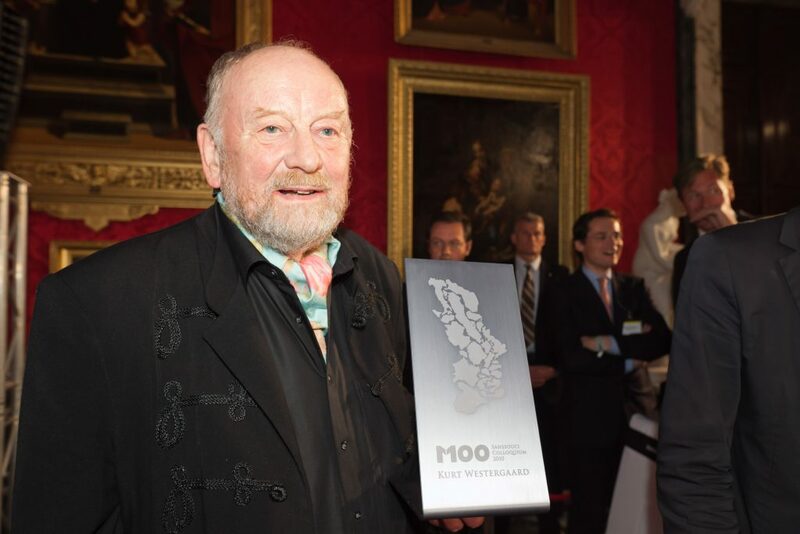 The Danish cartoonist Kurt Westergaard has received the M100 Media Prize 2010. The prize was awarded on 8 September, as part of the international Media Conference M100 Sanssouci Colloquium in Potsdam. The former Federal Commissioner Preserving the Records of the State Security Service of the former German Democratic Republic and Chairman of the Association “Gegen Vergessenheit – Für Demokratie” (“Against Oblivion – For Democracy”), Joachim Gauck, has hold the Laudation. “At the same time, today’s prize is an appeal to all persons who hold positions of responsibility in governments, in culture and in the media: be steadfast, value-oriented and also COURAGEOUS when irresponsible persons and powers undermine or relativise our values of freedom”, he said in his speech. “It is a virtue to yield to a convincing argument, but it is cowardice to yield to a threat from enemies of freedom. Kurt Westergaard created one of the 12 Muhammad cartoons accompanying a feature entitled “The Face of Muhammad”, published on 30 September 2005, in the Danish daily Jyllands-Posten. His illustration triggered an international controversy about freedom of speech and sparked world-wide, partly violent demonstrations of Muslims who felt insulted. “It wasn’t my intention to attack Islam”, stated Westergaard in an interview with Der Spiegel, “but instead terrorists who abuse Islam for their spiritual ammunition.” Despite an alleged bounty of eleven million Dollar on him and his colleagues, Westergaard defended the publication by invoking the right to freedom of speech. The board of the M100 Sanssouci Colloquium honours his courage to stand by these democratic values and defend them, notwithstanding threats of violence and death. Each year, M100 Sanssouci Media Award recognizes a European personality who, through his or her work has left their mark on Europe and the world. The award reflects their service to the safeguarding of freedom of expression and the deepening of democracy in Europe as well as their outstanding achievements in promoting international understanding and communication. Previous Prize Laureates were Lord Foster, architect (2005), Dr Bernard Kouchner, founder of ‘Médecins sans frontières’ and French foreign minister (2006), Bob Geldorf KBE, musician, Africa-activist and founder of Live AID (2007), Ingrid Betancourt, Franco-Colombian politician (2008) and Hans-Dietrich Genscher, former German Foreign Minister (2009).